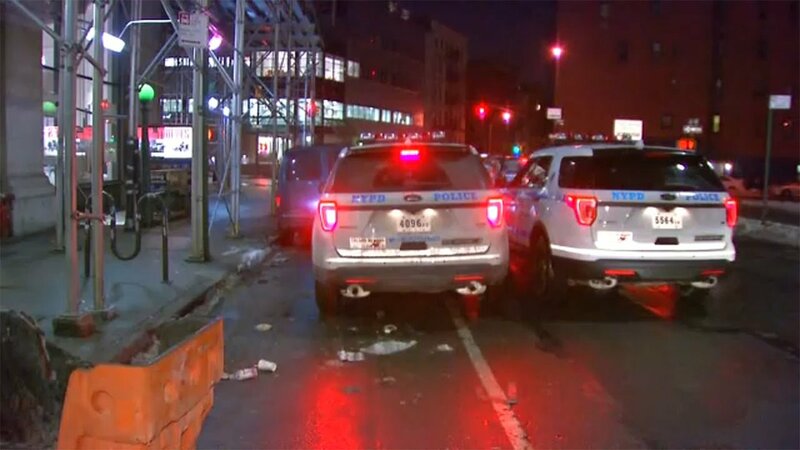 SOHO, Manhattan -- A man was slashed while riding the subway in Manhattan on Tuesday morning. The victim sleeping on the train when another person apparently tried to grab his wallet around 4:45 a.m. They got into a dispute and the victim was slashed in the face at the Spring Street station in SoHo. He was taken to New York Presbyterian Lower Manhattan Hospital with a non-life threatening injury. Police are searching for a suspect who fled the scene, possibly on a subway train.